Technology continues to evolve, and parts are becoming easier to produce. This lowers the price of electronic devices for the final customer. After years of innovation, this is now happening with drones. A decade ago, drones were an exclusive product that cost thousands of dollars and was available only to certain businesses and rich people. However, now we can see a huge selection of drones affordable for everyone, staring from small toy drones, and ending with drones for racing and recording from the air. Inexpensive drones not only made a revolutionary breakthrough to the UAV (unnamed aerial vehicles) market, but also transformed the worldwide photo, video, and electronic toy markets. More and more professionals are relying on drones – journalists, photographers, cinematographers, and representatives of other professions can hardly imagine their lives without drones. In addition, quadcopters are original and unusual toys, so they’re in great demand in everyday life. Do you wish to test a drone made by modern manufacturer? Check out these drones suggested for beginners. Select the model that meets all your requirements. The JJRC H36 is a miniature drone that’s one of the cheapest on the marker. It’s a wonderful device for amateur pilots who like adventure. You’ll learn to pilot this drone with no difficulties because you do not have to control where it is, especially when it flies far away and fast. You should try headless mode. With the help of just one single button, you’ll enable the drone to take its initial position and even make an impressive 360-degree rotation in the air. The JJRC H36 doesn’t require much effort. Every beginner will manage it with ease! This quadcopter is strong enough to withstand any crash. Still many users complain about its sensitivity, so you need to develop good skills to manage it smoothly. The Husban X4 H107L was released in 2013, but it’s still in high demand. And this is not surprising: a simple and fairly reliable quadcopter capable of being in the air for up to 9 minutes and taking off to an altitude of 100 meters will please many amateurs. The Hubsan X4 H107L is a smart quadcopter; it instantly responds to commands and is characterized by high stability due to the built-in 6-axis gyroscope. Also, it can carry an extra 20 to 25 grams of weight, meaning it can take a miniature camera, which is usually installed on a quadcopter. Holy Stone’s inexpensive mini copter is a reasonable choice, and its simple controls will allow you to quickly learn how to fly. It’s simple enough to operate, so after several launches it should be easy to manage. The propellers are protected from collisions, which should prolong its life. The only minus of this quadcopter is that it may be somewhat difficult to control if you don’t provide it enough open space with minimum obstacles. This is a miniature aerial vehicle. This model is one of the best for children and beginners. It will easily perform 360-degree somersaults. Plus, it comes with voltage protection and overcurrent protection. Headless mode allows you to easily control flight, without thinking in which direction the drone’s nose is directed. A built-in barometer helps you maintain height. Bright LED lights let you fly even at night. This small drone is suitable for indoor use; however, many users report difficulties flying it. This drone can be bought at a very attractive price. It’s easy to learn the basics of its operation, and allows users to quickly improve their skills and test their flying capabilities as much as possible. You’ll enjoy its ability to rotate 360 degrees high in the air and will be impressed by its unpredictable 3D tricks. This child-friendly drone is stable and rather easy to fly. It’s an affordable analog of expensive selfie drones, and has an enviable set of features. If your goal is amateur photos and recoding, this drone will be perfect for you, It’s nicely designed and equipped with a small front camera. At low speed it will move slowly but with increased speed, it becomes fast and maneuverable. The EACHINE E52 is a good drone for beginners, but be careful when flying it outside; the wind will cause faster battery discharge. The camera can hardly provide high-quality video, but it’s quite decent at this attractive price. This compact drone does not differ from top models of famous manufacturers, and its electronics, hidden under a durable case, will the novice pilot feel confident. It has reliable removable blade protection, which is an important feature for all drones whose dimensions allow them to fly in an apartment. Collisions with the ceiling and walls are inevitable but not dangerous for this model. It has a strong battery and classic controls. 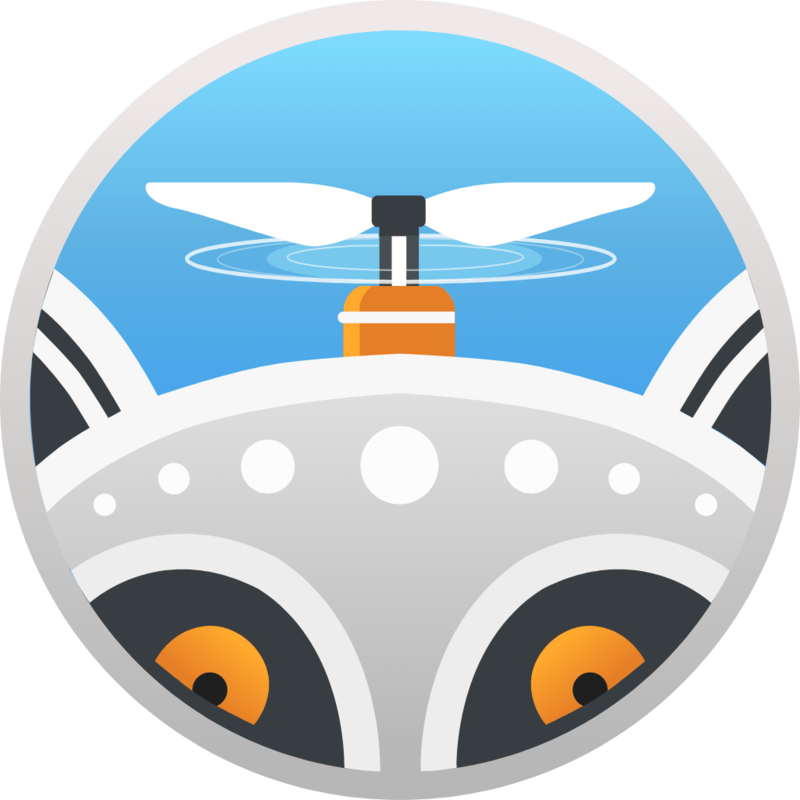 The signal range is almost 100 meters, but if your friend has flown far away, you can click on the return home button and force your drone to fly home obediently. You’ll find this drone in two versions, with and without a camera. With a camera it will cost slightly more, but it’s worth it. The Syma X5C-1 is a wonderful present for a child of any age. This is a great choice if you decide to master drone flying. It’s easy enough to manage and very durable. Fitted with a 6-axis gyro, it’s also quite stable, and can easily perform tricks in the open air and resist wind. This drone flies well both indoors and outdoors. It has a red backlight in the front and a green backlight in the back, making it look like a smaller copy of the Phantom 2. These lights help you fly in low visibility conditions. This is a nice little drone; available in four colors. H8 Mini has special blade protection, which will prolong its life if used by an inexperienced pilot. The drone is designed with the expectation that it can be run at home, pounding against the walls without fear of breaking. The only drawback is a control panel that isn’t very comfortable in the hands due to poor design. Plus, some users report issued with the propellers. This smart quadcopter is easy to use. Everybody says it has a good grip and is very durable, plus it has a stylish design. Headless control will force the drone to change the line of flight by way of moving the remote control. You’ll be impressed by the stunning 3D rolling trick. If you’re planning on investing in an expensive drone with a camera, you can start with this one to become a good pilot first. You’ll have fun flying it. As for the minuses of this drone, customers note that it usually doesn’t keep the altitude properly, but it’s very simple to handle it. Of course, all of these quadcopters can’t be called the best of the best, since a fairly large number of mega-powerful expensive devices are available on the modern market. However, all these quadcopters are ideal for learning how to control such devices and using as a functional toy.